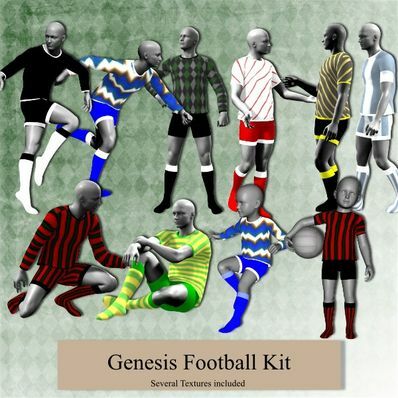 A Football Kit for Genesis for use in Daz Studio 4. Will work with most poses and shapes. Waist Fit Morph included. Thank you for including the wait fit morph and all the MAT zones, so generous.